This is new quick and healthy meal which I started cooking only recently. It comes from my Armenian boyfriend. 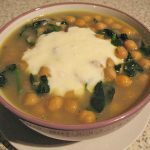 In his culture they make a soup out of lamb, chickpeas and spinach, but he simplified it by cooking it for me with no lamb. 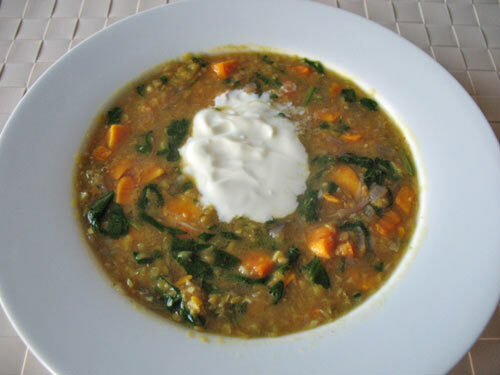 I liked it very much and since then I regularly cook this as it’s very quick and easy to make. 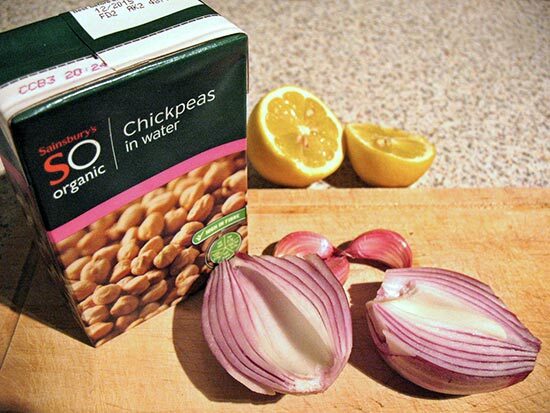 Prepare your ingredients: chop the onion, chop the garlic, wash the spinach and open a carton of chickpeas. Fry the onion on a 2-3 tbsp rapeseed oil on a medium heat for a couple of minutes in a tall saucepan. Add 2 cloves of garlic and leave it for another 30 seconds, stirring regularly. Add a carton of chickpeas and leave that to cook for couple of minutes. 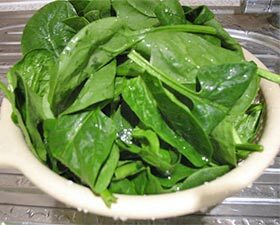 Add spinach, cover with a lead and leave the steam to soften the spinach. Add some extra water if necessary. Spinach only needs to cook for a couple of minutes. Stir the spinach into the soup while cooking. 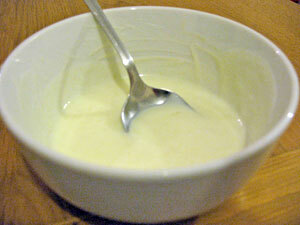 Prepare the yoghurt sauce: mix together 1 clove of garlic, 2-3 tbsp of natural yoghurt, 1 tsp olive oil and a pinch of salt. Serve the soup with the yoghurt sauce on top. 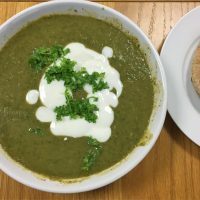 I love spinach and I will add as much spinach to the soup as I can. You can start with 100g and see if you want to add any more after that. 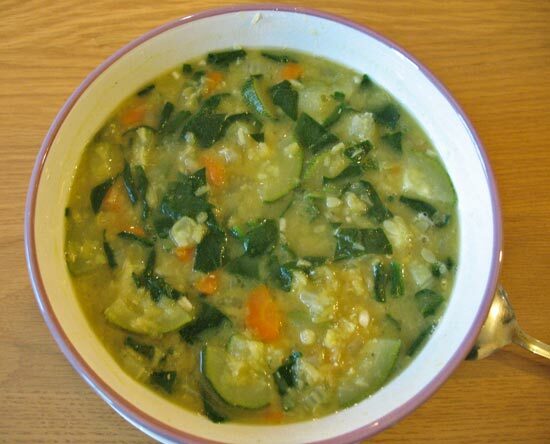 For the soup you can see in the picture above I actually used around 200g of spinach. Spinach is rich in magnesium and also contains iron and other important nutrients. Just remember that vitamins lose value very quickly with cooking and that’s why you should never leave it to cook for more than couple of minutes, even less if you can. This yoghurt sauce is my boyfriend’s invention or he maybe learnt that from his family (not quite sure). Anyhow, the soup with this sauce on top tastes amazing. Without this sauce, you wouldn’t want to eat this soup, as it would be just too bland.